Today is the final day of readings from Exodus. I hope that your reading this past week or so about the Israelites Exodus from Egypt and their emergence as a nation under Moses' leadership has been a good learning experience for you? It has been for me - thanks in large measure to the wonderful Comments everyone is posting up each day! Thanks everyone. More than anything - I hope that reading about God's interactions with His covenant people in Egypt, the plagues, the Red Sea, the manna from heaven, the Ten Commandments, and the plans for the Tabernacle has expanded your understanding of who God is and God's story? If anyone wants to reflect back on what may have been an interesting learning for you in Exodus this year, please do post up in the Comments section below. Personally, a couple of learnings for me this year from Exodus that I will share are these - 1. Moses' leadership really stood out to me this year as I read through Exodus. And it was interesting to me that his leadership grew over time. Early on in Exodus Moses was saying to God to "please don't choose me to free the Israelites from Egypt - pick someone else" and then by the end of the book Moses has gained enough faith to fast for 40 days on Mt. 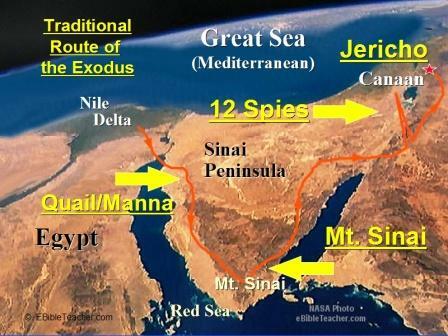 Sinai and enough confidence to ask God to "show me your glory." I think we can see in Moses how God can transform a person's life completely - and how God can transform our lives completely - if that person enters into a responsive, faithful, loving and obedient relationship with God. Point #2 of my learnings this year - my interest and knowledge in some of the intricacies of the tabernacle has grown, which has been wonderful. 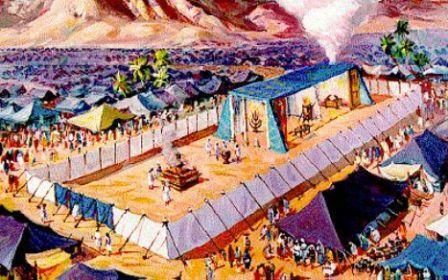 Bible.org's commentary on Exodus chapter 40 titled "The Consecration of the Tabernacle and the Presence of God" is at this link. Worship God: Our readings in Exodus 40:34 today about God's glory filling the tabernacle reminded me of Jeremy Camp's song "We Give you Glory:"
Who are you giving glory to these days? Click here and meet true Glory! Prayer Point: Pray that the glory of the LORD has filled the tabernacle of your body with His Holy Spirit, through your saving faith in Jesus Christ as your Lord and Savior. I loved the book of Exodus!